In combat sports rematches, things don’t usually work out well for the person on the wrong side of the result the first time around. And in those return bouts, the result is usually worse. So considering that Henry Cejudo had been stopped in less than three minutes in his first bout with Demetrious Johnson, not many gave him a shot at dethroning the UFC’s only flyweight champion on August 4th of last year. What Cejudo didn’t know that he was going to sprain his ankle less than a minute into the UFC 227 co-main event. Now he needed that composure more than ever. And he found it, staying cool, sticking to the game plan, and with the fight up for grabs heading into the fifth and final round, he went for the belt. “I knew that going into round five it was up for grabs and I knew I had to push the pace and that’s exactly what I did,” said Cejudo, who won the round and the fight via split decision. “The Messenger” was the UFC flyweight champion of the world. 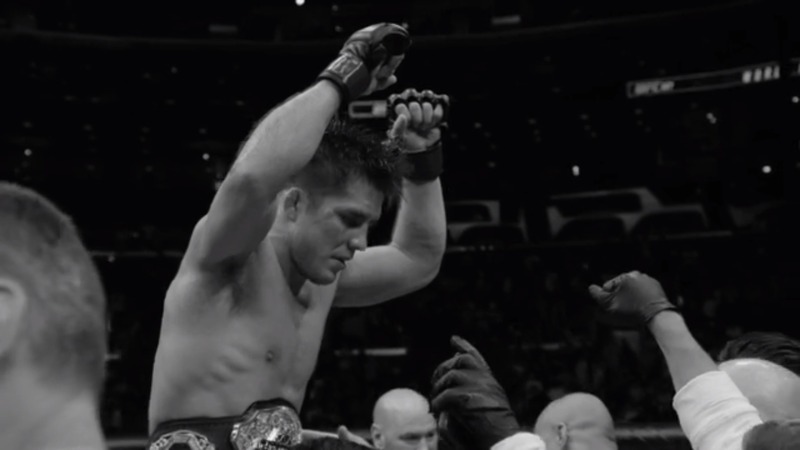 Cejudo didn’t need to prove that he had heart. He showed that a long time ago, as he made it through harrowing times growing up in Phoenix to shock the world in 2008 by winning an Olympic gold medal in freestyle wrestling at the age of 21. Then he beat Johnson. On Saturday night, he’ll look to turn back the challenge of UFC bantamweight champion TJ Dillashaw in Brooklyn. Hate to disappoint the 31-year-old, but if he beats Dillashaw on Saturday to successfully defend his title, it won’t be a shocker. Not after he ended the long reign of Johnson to cement his place as one of the best fighters in the game. Guys like that don’t pull off upsets. When they win, it’s almost expected. And Cejudo expects it, just like he did against DJ. 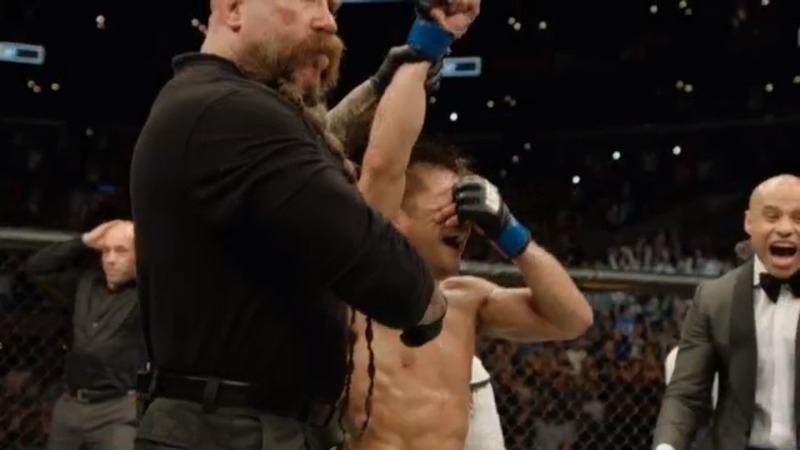 If there was an ounce of doubt in Cejudo’s own head, that was erased moments after the verdict was read in STAPLES Center, as the new champion made an immediate call for his fellow titleholder ten pounds north. You can usually detect when a fighter is talking for the cameras and not necessarily telling the truth. There is none of that coming from the mouth of Cejudo. He believes every word when he declares that this fight belongs to him and him alone. “I love this matchup because TJ has never fought a wrestler, a smart person like me,” he said. “I will adjust to this man, I’m a chameleon. According to what he’s giving me, I will adapt. He’s also a champion, one who will do what it takes to keep that belt around his waist.